Thanks so much for participating in this year’s giveaway! Below are the winners, who we will contact via email. Didn’t win? Don’t dismay! As a thank you for participating, you can score 35% OFF ALL PRINT AND DIGITAL BACK ISSUES between now and December 24! Use code WINNER at checkout. And thanks again for joining us. We promise more fun and ways to win in 2019! December 1: Enjoy Life Foods Jackpot! Indulge in gluten-free snack heaven with a large gift basket filled with the most popular Enjoy Life Foods products. The winner of this prize will score an abundance of goodness: Mini Chips, Dark Morsels Baking Chocolate Snack Packs, Lemon Blueberry Poppyseed Chewy Bars, Cocoa Loco Chewy Bars, Ricemilk Crunch Chocolate Bars, Ricemilk Chocolate Bars, Snickerdoodle Soft Baked Mini Cookies, Chocolate Chip Crunchy Cookies, Soft Baked Gingerbread Spice Cookies, Mountain Mambo Seed & Fruit Mix, Sea Salt Plentils, and Chocolate Marshmallow Grain & Seed Bars! December 2: 30 Fantastic Products from Canyon Bakehouse! 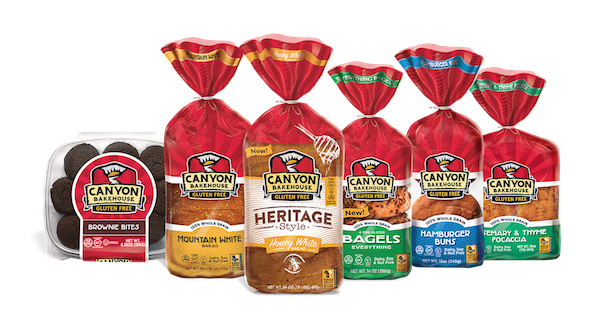 “Toast” the holidays with delicious, wholesome breads, brownies, English muffins, and more from Canyon Bakehouse! This bountiful prize includes a dizzying array of delicious baked GF goods done right. December 3: Coconut Bliss Extravaganza! 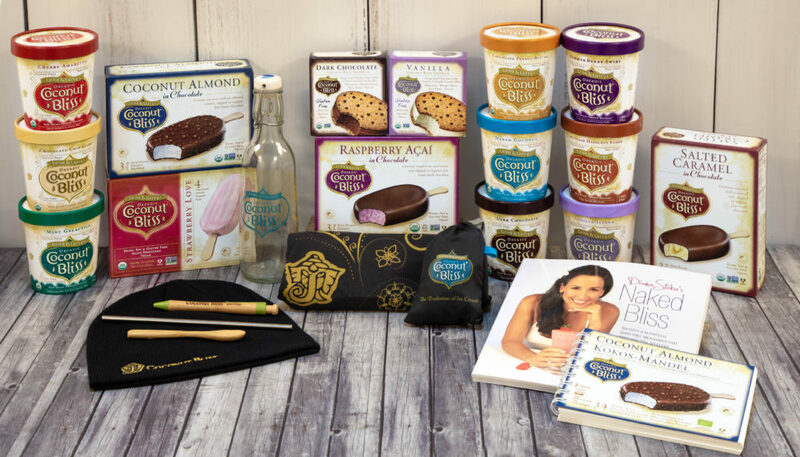 Score a custom selection of divinely creamy, plant-based ice cream created with only the highest quality organic ingredients with this prize pack of 12 Coconut Bliss coupons, redeemable at your local store. 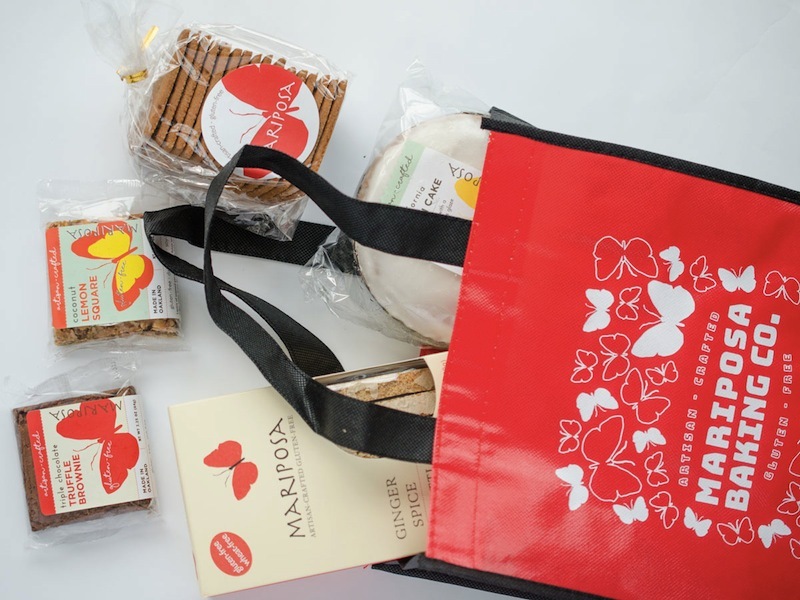 You’ll also get a branded Chicobag, Love Bottle, bamboo spoon, reusable straw, up-cycled notebook and pen, Farm Fresh organic cotton T-shirt, and a smoothie recipe book. Enter now above! December 4: Sensational Nima Sensor Starter Kit! Eat without fear of being “glutened” with Nima Sensor’s portable sensor! This nifty gadget is perfect for GF on-the-go because it’s compact enough to carry with you and can quickly test your food and tell you whether it’s gluten-free or not. 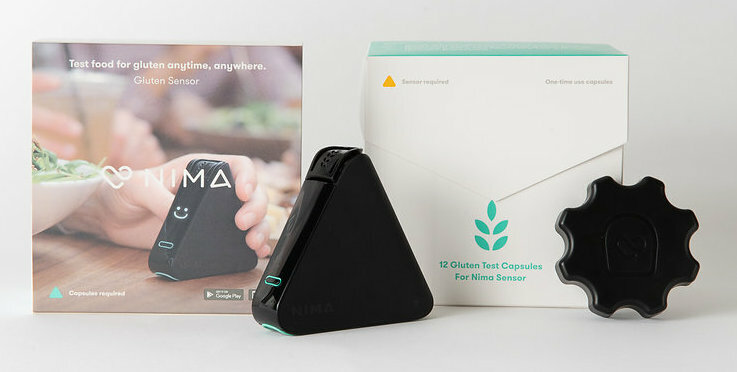 This prize features a Nima Sensor Starter Kit, which includes a gluten sensor, three test capsules, a charging cable, and a carrying pouch. Treat yourself to the JB SkinGuru skincare system beloved by everyone from Oprah (who looks to owner Jennifer Brodeur for personal skincare advice) to GFF editor Erika Lenkert. Free of toxins, artificial fragrances, and gluten and made with organic ingredients, Peoni is a complexion game changer. This prize includes the complete Peoni regimen–a cleanser (Le nettoyant), toner (L’essence), anti-inflammatory, hydrating oil (L’extrait), and a light but powerful daily moisturizer (La crème). December 6: A Party for the Palate with Pamela’s Products! 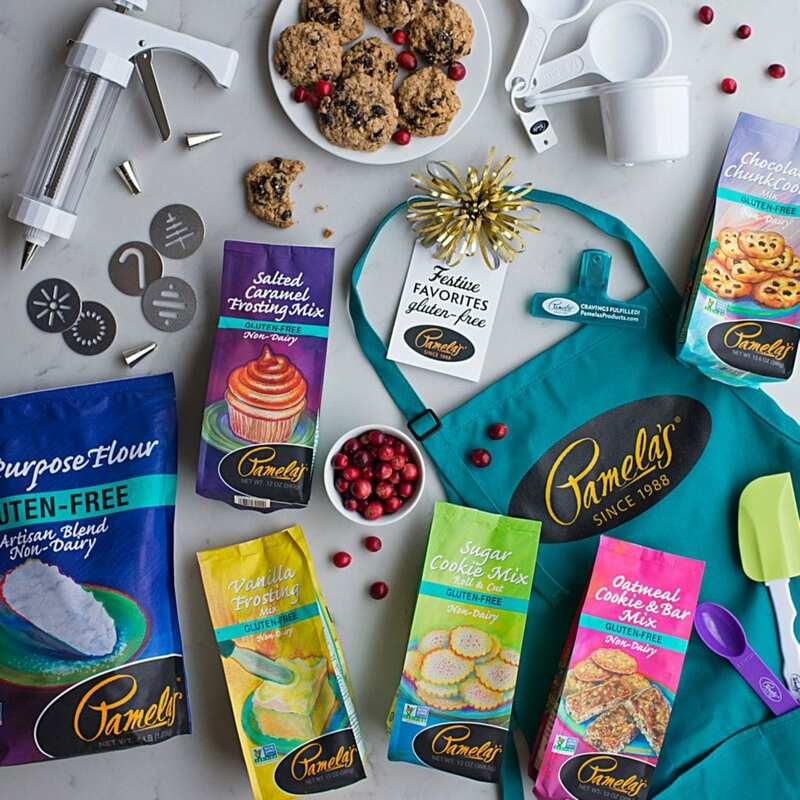 Cook, bake, and eat outstanding GF food with the help of a huge box of Pamela’s products. This prize features top-selling gluten-free mixes and treats, plus new organic pastas and paleo flours, and Pamela’s swag! December 7: Spectacular Schär Variety Pack! 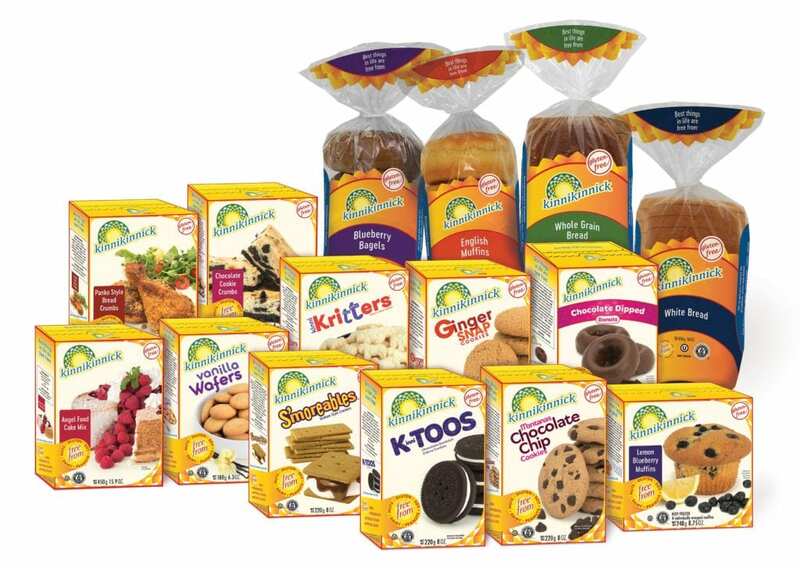 Load up the cupboard with an astounding variety of delicious GF crackers, cookies, breads, and more from Europe’s #1 gluten-free brand! The lucky winner will receive all that and more with this prize pack filled with mouthwatering Schär goodies. December 8: Kinnikinnick Allergy-Safe Indulgence! Revel in GF/DF abundance with this delectable prize pack and gift certificate! This prize includes a $50 gift certificate plus an incredible selection of products free from dairy, peanuts, nuts and now SOY: panko-style breadcrumbs, blueberry bagels, English muffins, whole grain bread, white bread, angel food cake mix, vanilla wafers, animal cookies, ginger snaps, chocolate-dipped donuts, graham-style crackers, chocolate-vanilla sandwich cream cookies, chocolate chip cookies, and lemon-blueberry muffins! 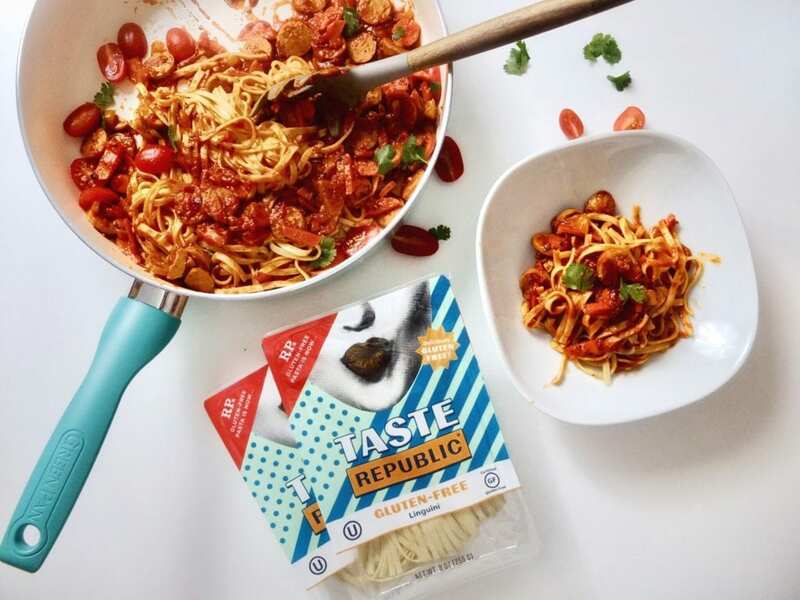 December 9: Taste Republic Pasta Party! Indulge in $50 worth of Taste Republic Gluten and Grain Free Pasta, which is so startlingly fresh and delicious, you’ll never know it’s GF. Sweetening the pot, this prize also includes a 5-quart Original Green Pan Ceramic Non-Stick Covered Sauté Pan with Lid. Talk about a perfect pasta night! December 10: Room & Board Perfect Party Starter Kit! 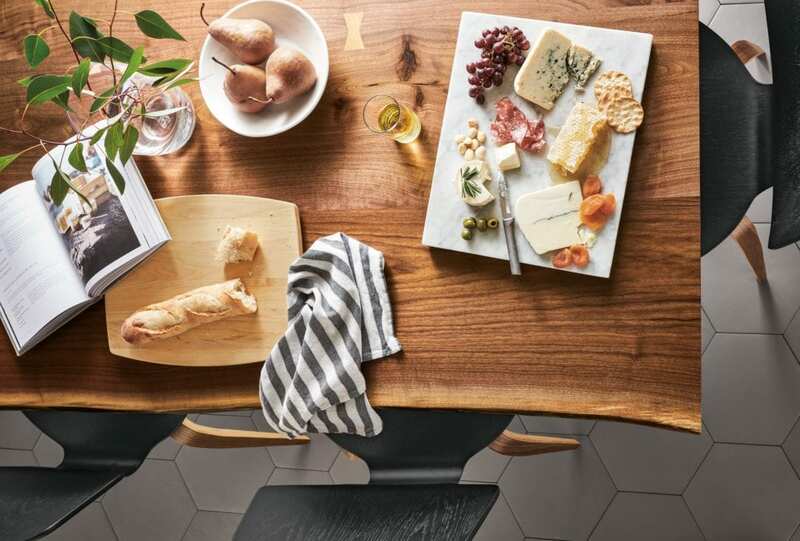 Host the holidays in style with this sleek entertaining starter kit from Room & Board, the stylish, modern furniture and home-decor store that helped us fancy up GFF headquarters. This party-ready prize includes two Fence tea towels, a Quarry serving board, Tamar cutting board, and Anya bowl! December 11: ParmCrisps Cheesy Goodness! Snack yourself silly or dress up soups, salads, and more with GF, protein-packed, keto-friendly oven-baked crisps made from 100% Parmesan cheese and herbs. 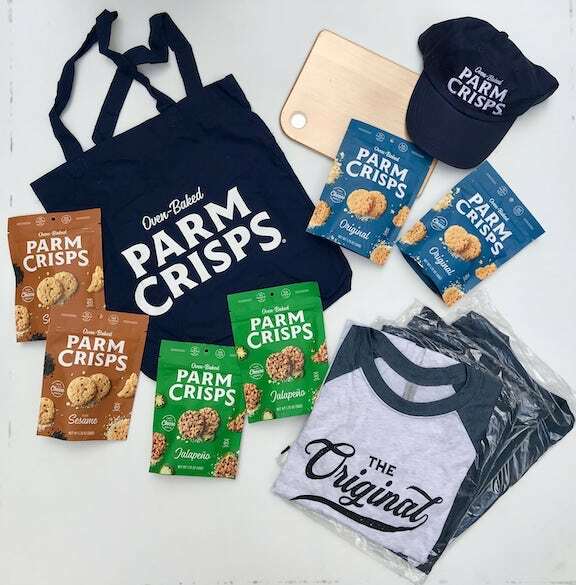 With this crunchy-munchy prize, you’ll get to taste all the varieties of ParmCrisps, including Original, Jalapeño, and Black Sesame, plus you’ll receive ParmCrisp T-shirts for the whole family, a baseball cap, tote bag, and cutting board! December 12: Cup4Cup Complete Pantry Stocker! Be prepared for any baking situation with this assortment of every product Cup4Cup produces—including their new fried chicken mix and bread mix! With famed chef Thomas Keller and a team of gourmet-cooking experts behind this brand, it’s no wonder everything is so darned good! 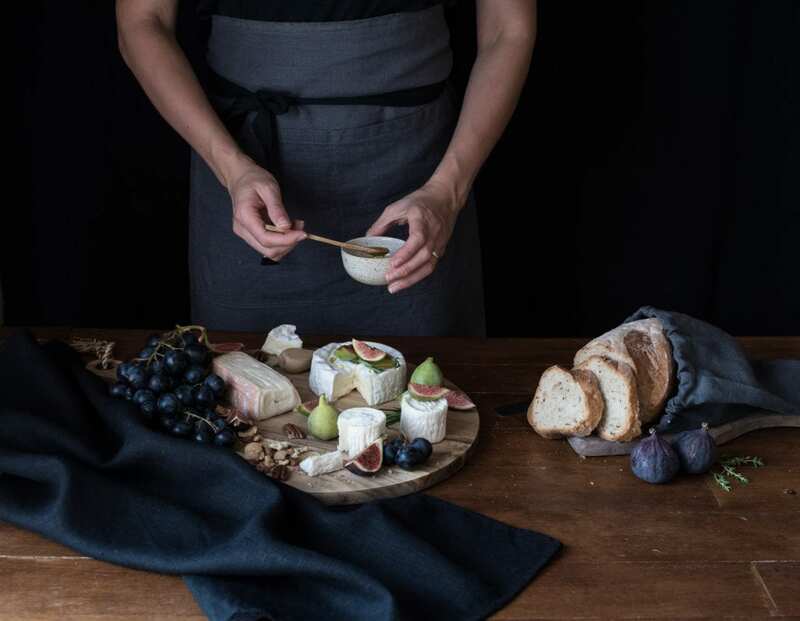 Cook and serve with elegance with this gorgeous Orkney Linen Kitchen Must-Haves set of 1 bread bag, 2 tea towels, and 1 apron all made from top-quality, 100-percent linen by beloved San Francisco Bay Area boutique company, Rough Linen. There’s a reason we featured it in our holiday issue of GFF and you’ll find out why if you win this enviable prize. 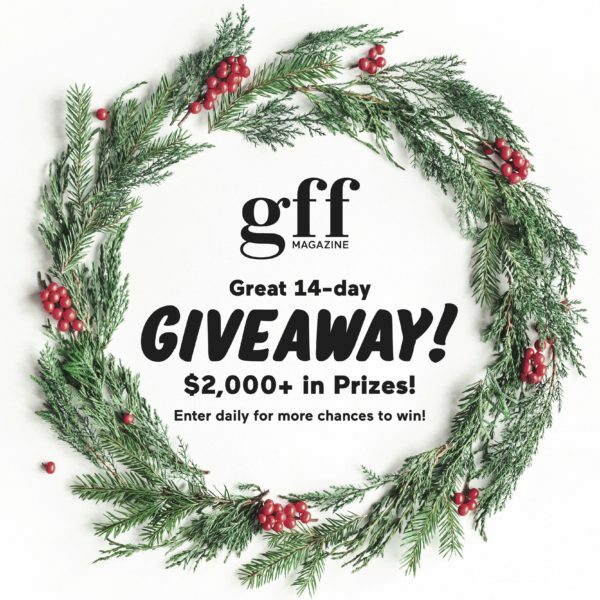 December 14: GFF Magazine Food Lovers’ Fantasy Collection! Get your GFF on! 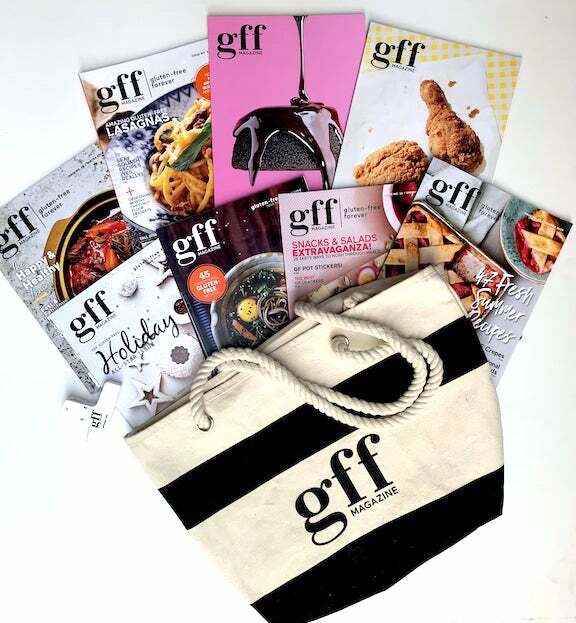 The winner of this bounty will score 8 GFF back issues (for a total of 400+ amazing recipes), a GFF tote bag and chip clips, plus some surprise treats.